A Head-up Display (HUD) in an aircraft cockpit allows the pilot to see flight information projected onto his view through the cockpit canopy as an image floating in space. This illusion is achieved with special coatings on glass screens (combiners) placed in front of the pilot. Orion Photonics has developed unique design and manufacturing techniques for HUD combiners and recent advances in technology have resulted in coatings that are virtually invisible to the pilot, but provide a high image brightness of the display information. The principle relies on the provision of colour selective “notch” coatings based on rugate principles where the reflected colour is tuned to the display emission colour, resulting in a high brightness view of the display while maintaining high visibility of the direct view through the cockpit. Where cockpit space is limited, a dual combiner assembly is used to increase the field of view and this requires special design and manufacturing techniques to transfer the display image smoothly between the two combiners, a principle that Orion Photonics has a unique solution. In addition, the technique can be adapted for multiple colour displays where reflection notches are matched to each emission colour. 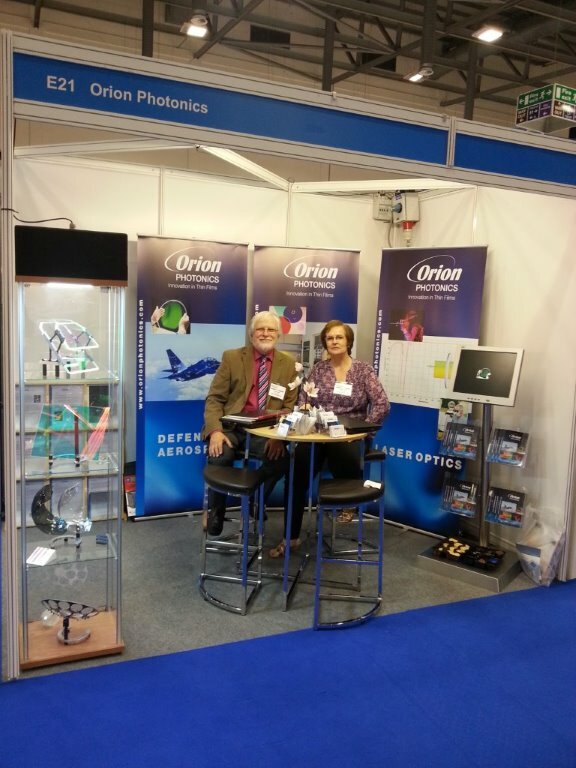 2014 and 2015 have been important years for Orion Photonics in that the company has consolidated an international reputation for the design and manufacture of Head-up Display combiner coatings based on rugate principles, and this has resulted in the company being awarded contracts from 3 international avionic companies for the supply of combiners for different aircraft programmes. HUD displays have become a focus of our company strategy and this now represents a major part of our business.